Canoga Park, (Los Angeles County) California – January 3, 2011 – Rocsecure a division of Rocstor, a leading provider of fast, high‐capacity data storage and encryption solutions, is announcing its new product COMMANDER 2U3 encrypted external hard drives. The COMMANDER 2 Pocket Drives deliver exceptional security, performance, and reliability. Designed and engineered in USA to meet the needs of secure mobile data storage market, The COMMANDER 2U3 2.5” external hard drive is also compatible with both Windows® and Macintosh® Operating Systems. The Rocsecure Commander 2 Ruggedized external pocket mobile hard drives are industry’s most versatile, Real‐Time, Hardware Encrypted storage solution available. FIPS (US Federal Information Processing Standard) 140‐2 Level 3 Cryptographic Engine validated for Physical Security. Commander 2U3, with USB3.0 and FireWire 800 interfaces offers security‐sensitive users a wide range of NIST certified DES (Data Encryption Standard) and AES encrypted algorithms. 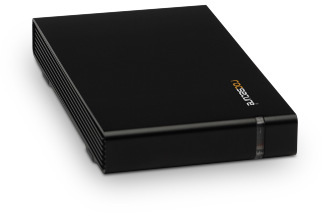 Commander 2.5″ ultra‐slim drives are designed with AES‐256 bit real‐time hardware data encryption security performance which effectively intercept, interpret, translate and relay SATA data commands to and from disk drives in “Real‐Time”. Commander product lines are designed with new shock‐absorbent Damper Strip protection. Rocsecure drives offer the technologies you need to keep you data secure and safe. Additionally, the encryption contains “ECB”, which is one of the most secure encryption modes. This drive is both bus‐powered and bootable.” The new COMMANDER 2U3 with key‐Token authentication Pocket Drives contain a fast, high capacity 2.5” SATA drive mechanism, with up to 5,000Mbits/sec transfer speeds and silent operation.